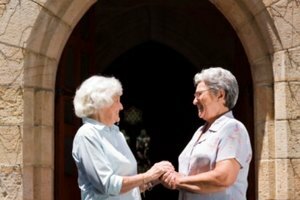 Greeting your congregation with a good welcome sets the tone for the occasion. 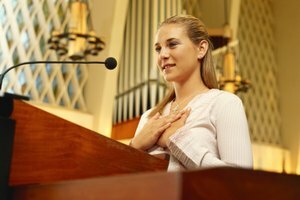 You may be asked to do a welcome speech for your church during a special occasion. 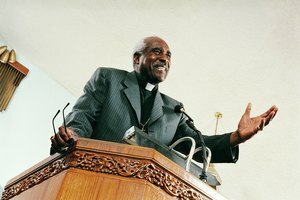 Addressing a church congregation is far different from addressing audiences at any other social gathering. 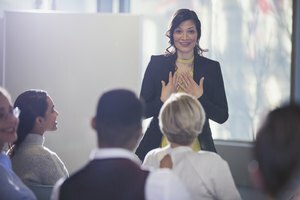 Delivering an effective welcome speech can be challenging, as you set the tone for the occasion. You want to greet your congregation in a way that not only makes them feel at ease but also makes them look forward to the events to follow. Know the occasion. Thank everyone for attending the special event: women's or men's day, baptism, dedication, church conference or convention, youth rally, etc. Provide a very brief history of the church as it relates to the occasion, or expound on the theme. Be brief and warm. Let the audience feel your sincerity as you cordially greet them. Acknowledge any special guests or speakers, starting with your pastor or church leader. Thank them for approving and hosting this special event. Set the tone. Generate excitement with your facial expression and tone of voice, if appropriate, so that the audience will look forward to the events to come. Use a poem or related famous quote as a way to start or end your speech. Practice aloud. Say your entire speech out loud. Time yourself. Modify any portion that may not flow correctly. Try not to be nervous -- know that the audience is on your side. Jones, Tina. "How to Do a Welcome Speech for the Church." 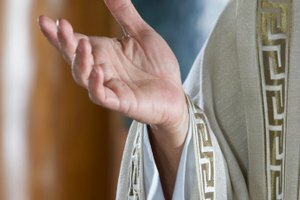 Synonym, https://classroom.synonym.com/how-to-do-a-welcome-speech-for-the-church-12083913.html. 29 September 2017.